San Francisco-based mental healthcare company Two Chairs raises $7 million in a Series A financing round led by Maveron. The company plans to expand beyond its four brick-and-mortar practices and enhance its app, which helps patients find therapists that best fit their needs. It also offers virtual consults. March 6 (Wednesday) 1:00 ET. 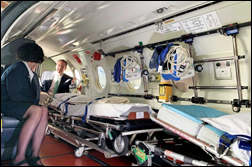 “Pairing a High-Tech Clinical Logistics Center with a Communication Platform for Quick Patient Response.” Sponsored by Voalte. Presenters: James Schnatterer, MBA, clinical applications manager, Nemours Children’s Health; Mark Chamberlain, clinical applications analyst, Nemours Children’s Health. Medics at Nemours Children’s Health track vital signs of patients in Florida and Delaware from one central hub, acting as eyes and ears when a nurse is away from the bedside. Close monitoring 24 hours a day integrates data from the electronic health record, such as critical lab results, and routes physiological monitor and nurse call alerts directly to the appropriate caregiver’s smartphone. This session explores how the Clinical Logistics Center and more than 1,600 Zebra TC51-HC Touch Computers running Voalte Platform connect care teams at two geographically dispersed sites for better patient safety and the best possible outcomes. CentralReach adds analytics and business intelligence features to its EHR and practice management software for behavioral healthcare providers. Direct primary care company Parsley Health adds pediatrics to services at its New York City-based clinic. The service line addition comes nearly a year after its last fundraising round of $10 million. Modernizing Medicine adds a GoodRx interface to its EMA EHR, giving dermatologists access to prescription pricing at the point of care. Nextech Systems adds RxPhoto’s mobile medical photography app to its EHR for dermatology and plastic surgery. The American Academy of Dermatology elects George J. Hruza, MD (Laser & Dermatologic Surgery Center) president. Nurx expands its telemedicine, and prescription and home-screening kit delivery services to South Carolina. Boca Raton, FL-based HRT Providers Group launches a hormone therapy replacement telemedicine practice serving patients in 45 states. Black Book recognizes Nordic for top EHR implementation consulting, and Epic consulting and advisory services. PerfectServe discusses product and bolsters client relationships at its fifth annual customer advisory board meeting. 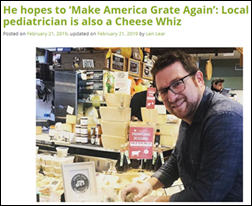 Top frustrations with the technology include reimbursement issues, credentialing and licensure, and staff adoption, which tied with privacy and security concerns. Respondents believe that improved reimbursement and parity laws, followed by easier-to-use software, and better EHR integration will drive telemedicine’s growth. I’m shopping around for braces and visited the first of three orthodontics practices yesterday. I was struck by how much this particular practice focused on customer service, and thought I’d share some of the highlights. The new patient intake process was easy thanks to the practice’s portal. I was emailed a link to the forms several days before my appointment. One of the questions asked about my hobbies and interests – a nice touch that I presume will help staff kick off future small talk. The portal seemed to be part of the practice’s billing system, as it also took me through steps to determine potential payment options based on my credit history. 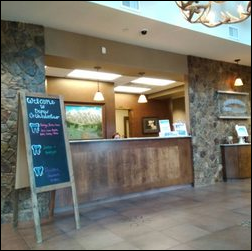 The check-in desk had a welcome sign with my first name on it, plus those of other patients. Every staff member smiled when we made eye contact. A Girl Scout troop toured the facility while I was there, which tells me the practice’s owners invest in their local community (and love Girl Scout cookies). I was offered a tour of the facility, something that’s never been offered to me before by any other type of provider. After speaking to the orthodontist for 20 minutes or so about treatment options, I was smoothly handed off to the practice manager, who then walked me through a few further options, including payment details presented to me on a tablet. Up-front costs for healthcare procedures, as far as I know, are unheard of. I left with paper copies of all that we had discussed, and came home to find a digital version had been emailed to me through the portal. I don’t know that there’s a huge need for virtual visits in orthodontia, but I bet this practice is already weighing its options. It will be interesting to see how the other two practices compare price-wise. I often wonder if prices are higher at places that obviously have a lot of overhead/bells and whistles. All in all, it was about as painless a process as I could have hoped for. It was also a stark contrast to some of the physician practices I have frequented in the past. I know business models are different, but the attention to customer service detail makes me think the two other practices I’ll be visiting in the next few weeks will have a hard time competing. And it certainly sets a high bar for any other type of provider I may have to seek in the future. Toronto-based healthcare app hosting and compliance startup MedStack raises $2.4 million in a funding round led by Telus Ventures. Community HealthNet Health Centers in Indiana selects remote patient monitoring technology from Reliq Health Technologies for a three-month trial with patients most at risk for diabetes and hypertension. PatientPop offers a free benchmarking report to help practices understand how they stack up to their peers in the areas of Google rankings, website presence and performance, and online reputation. Doctor on Demand develops a primary care software package that will enable employers and payers to integrate the vendor’s telemedicine services with existing networks. 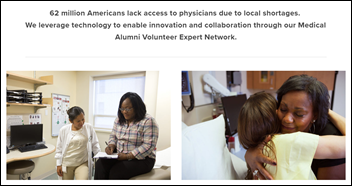 The MAVEN Project will use VSee’s telemedicine technology to expand access to its advisory and mentorship services for PCPs working in FQHCs. A survey from Eastern New York-based HIE Hixny finds that 85 percent of the 1,000 residents surveyed expect providers to share patient records with one another. A similar percentage expects health data to be shared via HIE, which speaks to the increasingly consumer-centric nature of health data sharing. 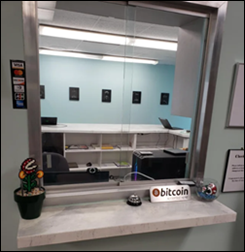 I didn’t realize Bitcoin was still a thing, given cryptocurrency’s nosedive in 2018: Will Powers, DO opens a new practice in Detroit that excites video game fans and crypto enthusiasts alike. Powers mentioned in a Reddit thread that he’s using BitPay to accept Bitcoin, and is having to work out the legal and financial tax ramifications of accepting cryptocurrency. He’s been a fan of Bitcoin since 2012, when he began mining it to heat his house. I’m not sure if that means he used his financial gains to pay his heating bills, or his presumably home-grown mining machine literally generated enough heat to keep the household warm and toasty. Those things can definitely warm up a room. AdvancedMD will exhibit at the American Academy of Dermatology meeting March 1-5 in Washington, DC. Culbert Healthcare Solutions will exhibit at the AAAP conference March 1-4 in Savannah, GA. 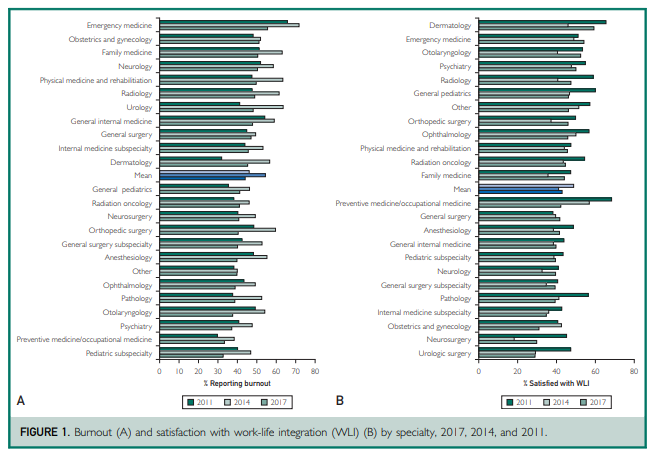 While physician burnout has by no means been eradicated, new findings from the AMA, Mayo Clinic (MN), and Stanford University School of Medicine (CA) show that its epidemic-level status is weakening. A survey of 5,000 physicians found that the burnout rate dropped below 50 percent for the first time in the last eight years. 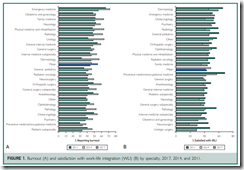 Though progress is being made, physician burnout is still the most prevalent among US workers. HIPAA One names Garrett Hall (KLAS Research) VP of strategy. Florida Eye Clinic implements ClearWave’s patient check-in technologies at its main facility in Altamonte Springs. In New York, Governor Andrew Cuomo allocates $6 million for improvements at five facilities in Brooklyn. Community healthcare provider Bridging Access to Care will use its $560,000 on upgrading its infrastructure and IT systems. The funding comes from the state’s Statewide Health Care Facility Transformation Program budget of $203 million. 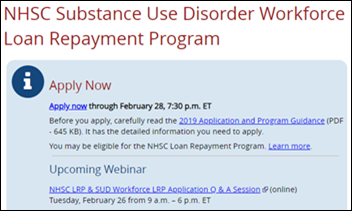 The National Health Services Corps will offer up to $75,000 in student loan repayment for providers who commit to working full-time for three years in a rural or underserved area hit especially hard by the opioid crisis. Applications are due February 28. 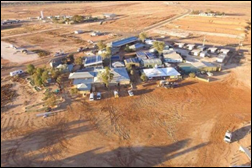 The South Australian Government will open a Royal Flying Doctor Service clinic in the remote town of Innamincka, which has 12 residents and 50,000 outback tourists annually. When not staffed, the clinic will offer telemedicine capabilities. 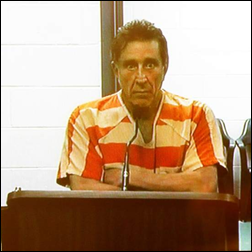 Bizarre: In Florida, Port Richey Mayor Dale Massad shoots several rounds at police who arrive at his home with a search warrant to determine if he is indeed operating an illegal medical practice. Massad’s medical license was revoked nearly 30 years ago. He was elected mayor in 2015, a position Governor Ron DeSantis revoked after Massad was taken into custody. Medicomp Systems announces a new solution to monitor and present hierarchical condition codes (HCCs) at the point of care. IMO announces availability of Periop IT content through Epic’s Foundation System. AdvancedMD will exhibit at the Association of Dermatology Administrators and Managers event February 26-28 in Washington, DC. 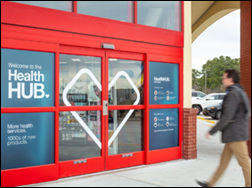 CVS shares fall 8 percent on the news of mixed Q4 results and lower-than-expected annual revenue of $54.42 billion. The company estimates it will need to spend up to $550 million this year on integrating the Aetna assets it purchased last November for $70 billion. It will be interesting to see how well it does keeping up with the likes of Amazon and Walmart, both of which are attempting to turn more of their virtual and physical square footage over to healthcare products and services, many of which promise to incorporate some sort of health IT. 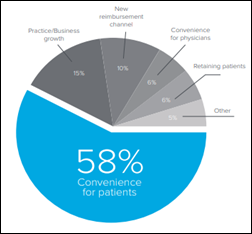 Retail healthcare players definitely seem to be encroaching on the turf of traditional primary care, which is in danger of becoming disconnected from today’s evolving care continuum. Silicon Valley startup MDout launches a healthcare application portal small and medium-sized practices can use to outsource the digitization and cloud-based storage of their medical forms. Multi-state Trumpet Behavioral Health selects CentralReach’s EHR and practice management software. Commonwealth Radiology Associates (MA) selects RCM and practice management software and services from Healthcare Administrative Partners. 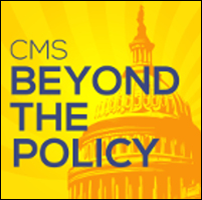 CMS launches the “Beyond the Policy” podcast to keep stakeholders abreast of its policies and efforts to foster innovation. Atlanta-based healthcare consultancy Coker Group names Christopher Kunney SVP. The Society of Maternal Fetal Medicine names Brian Iriye, MD (High Risk Pregnancy Center) president. The local paper highlights the impact ADK Wellness Connections has had since launching in October. 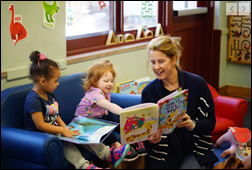 A project of the DSRIP-affiliated Adirondack Health Institute in New York, the ADK referral network has helped community members and their providers find and coordinate healthcare and social services from among 63 partner organizations via three care coordination sites. The backbone of the network seems to be software from Unite Us, which enables real-time referrals, in-app messaging and notifications, plus an SDOH dashboard with HIE-like capabilities to ensure service providers have access to the same data. Based on the reviews of Mr. H and Dr. Jayne, it seems there was definitely a lack of health IT celebrities this year, perhaps reflecting the post-MU era that has resulted in a consolidating industry controlled by big health systems, big vendors (some now without their founding fearless leaders), and faceless private equity firms. It seems attendees were more excited about sock giveaways than game-changing health IT concepts. 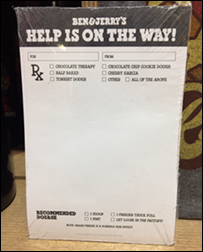 Speaking of giveaways, I came across this “prescription” pad at my local ice cream parlor and thought it would make for a good HIMSS giveaway next year, perhaps accompanied by a scoop of the attendee’s choice. Warm scones in the morning followed by an ice cream pick-me-up in the afternoon could surely help HIMSS-goers survive the exhibit hall. Fogo Data Centers adds medical record archiving, migration, and cloud-based hosting solutions to its line of EHR Express services. CampDoc works with Applications Research Corp. to develop interfaces that connect its EHR with Jewish Community Center and YMCA operating software. Practice management company United Rheumatology names Douglas Tardio (HealthCost) CEO, Bill Moore (HealthCost) CTO, and Jim Albano (JF Albano Health Care Services) as EVP of payer relations and operations. The USDA will give funding priority to Distance Learning and Telemedicine program applicants who propose projects that will provide opioid treatment services to patients in 220 at-risk rural areas. Applications are due April 15. The local paper profiles Community eConsult Network, an offshoot of Connecticut-based Community Health Center that has, over the last decade, built up a robust e-consult network that helps low-income patients receive treatment in a more timely and convenient manner. 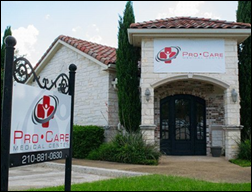 Customers include public and private payers, and other healthcare providers. Dermatologist Chris Norwood, MD sometimes handles 20 e-consults a day through the network, netting about $35 a consult. “I wouldn’t call it profitable,” he admits, “but it’s not an enormous money sink and I think it does help the community greatly. No one is buying a Ferrari with this.” While luxury car dealers might not be profiting, Medicaid is definitely saving money through e-consults, as a CeCN study in Health Affairs last December showed: Patients who had e-consults in four specialties saved Medicaid $82 per patient, per month, versus those who had face-to-face visits with specialists.